When it comes to making money online, there is one site that is almost synonymous with it – CashCrate. Search for the term “CashCrate Reviews” on Google, and at the very bottom, where Google shows related searches, it lists “make money online” as one of the related searches. Imagine how many thousands of times people had to search for these two terms together that even Google’s sophisticated algorithm is now connecting the two together! Long before Swagbucks, (Swagbucks review) CC was one of the easiest ways to make free money online. Like many people, when I first started my online money making journey, CC was one of the very first sites that I came across. I read a lot about the site, from CashCrate reviews on YahooAnswers to other bloggers’ opinions and personal experiences, and whatever else I could find that would help me decide whether the site was a legit money-making opportunity or just another scam. Today, I write this review in part to help those of you who are still on the fence about joining this site, as well as for those who haven’t even heard of this site, but are looking for an easy way to make some extra pocket money. I joined the site a few years back. I spent a lot of time at the beginning on the site trying to make as much as I possibly could. And to be honest, it wasn’t bad, for where I was at that point in my life. It helped me make a little extra cash. I earned and cashed out a few dozen times throughout these years. That said, the biggest amount I made in one month was probably a little less than $400. But I don’t think it can be sustained at that level though. I would say you should look at it as a way to make a little extra cash every month, not as a source of serious income. Ok, let’s get to the actual review and how this site actually works. Its online presence started back in 2006, and through the years, it has managed to grow to millions of members internationally. Their website features an online forum and support. There is also a prominent payment wall that allows members to display their earnings. I think the site provides an excellent opportunity to make a little extra money online while in the comfort of your home. As mentioned earlier, registration is completely free and they enjoy a good and well-established reputation. The business centers around the huge online forum, where members are free to interact among themselves. Money making ideas aside, CashCrate also organizes games and live contests, so this is another avenue for you to earn extra points and subsequently exchange these for gifts at their prize center. As I said, I used the site for years (and I still do from time to time), and after years of using it, I found the best way to maximize your earnings while simultaneously minimizing the time spent on the site is to get organized and create a plan. This should be easy to manage as there are many free email providers falling over themselves to convince you to set up account with them. Personally, I prefer Hotmail.com or Gmail.com. 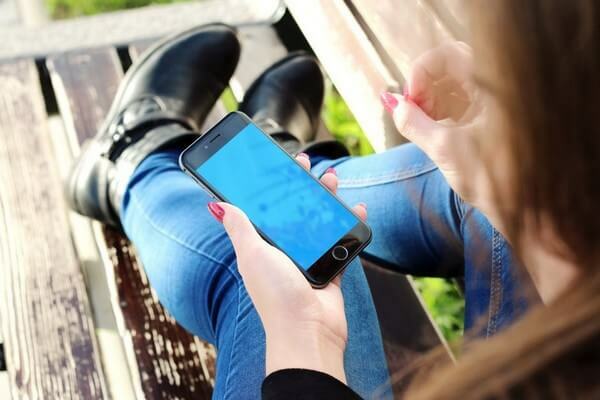 The reason for having a dedicated email is that once you sign up with CC, expect loads of emails, as the whole idea is to get as much exposure to new jobs as possible. So expect your inbox to be busy! For example, you can set up a dedicated account called [email protected], so you know CashCrate related jobs will flow there. You can register with Cash Crate by following this link. You will be led to the CashCrate registration page, and you’ll be asked for some personal info like email address (which is why step one comes before this one). After providing the info asked of you, click the Join Now! button. It will follow by asking for your mailing address. The whole idea is to be able to send your check to you. At the point of writing this article, check payment is the only option. Once you finish the above steps, you are ready to make money and the beauty of this is that you can do so on the same day you register. To illustrate, you can imagine your offer requires you to sign up for an email newsletter from a recipe website. The condition is that you will have to stay registered until you are paid $1.00. Bottom line is that you will get your $1.00 and you can subsequently cancel that subscription, or continue to subscribe to get recipes email if that works for you. Either way, it is your choice. Paid Offers: Paid Offers are like free offers with the exception that you actually pay something to do a trial. One good example is related to Magic Jack. You thought your home phone service could do with some improvement with Magic Jack and you were ready to sign for a trial. But you spotted the same trial at CashCrate. The same trial at CashCrate will earn you a $16.00 commission (yes you still need to pay whatever amount demanded by Magic Jack to try out their service). I have used the CC offer when I contemplated Netflix service. I have since signed up for Netflix paying the regular fee (although there are ways to get Netflix for free), but at least I can claim to have made some money out of my initial trial. They have plenty of offers (both free and paid), so try to use them to your advantage. Surveys: If surveys are your thing, then you will be glad that they never run out of paid surveys for you to participate. Regardless, you can genuinely love filling out surveys or just see it as a time filler, you have plenty of opportunities to beef up your account anytime you like it. 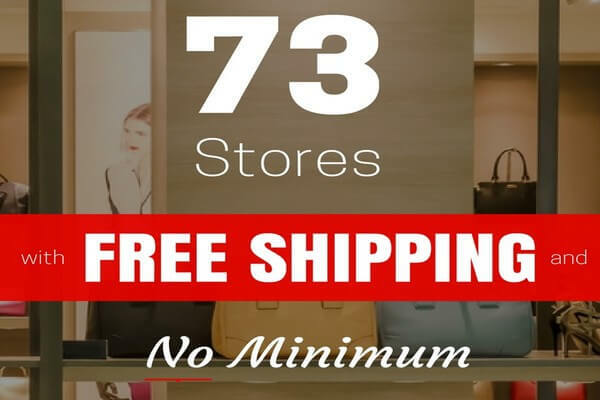 Shopping: Shopping is yet another great option at CashCrate. Lest I forgot, I better stress that this is really a cash back program on your online purchases via their network of retailers. Thus the same principle on paid offers applies. Unless these are things you intended to buy anyway, there is nothing for you to gain through this shopping format. Nevertheless, the cash back is decent when you choose to buy. If that TV has long been in your shopping list, you can now get it at WalMart Online with 3% cash back. In the same way, you get up to 5% discount when you buy from Office Depot and up to 15% when you shop at Flowers.com. The most basic of all of these is to fill out surveys. On your personal dashboard, you will see a “complete offers” button. Click on it and you will be led to a page where there are plenty of surveys, for both cash or points types (points earned to be exchanged for rewards like Starbucks cards, iTunes gift cards, etc). If you are new and adverse to the risk of exposing your bank information, I would suggest to just try the “cash offers”. They are 100% free to participate and will pay out a certain cash amount (you can check the due reward from the “payout” section). For higher payouts, the offers would ask for credit card info, or to compel the member to pay upfront for service over a duration of time (e.g. Netflix trial offer is for one month). or it expects participants to fill out extensive survey questions. Again, I would only use trial offers IF I was going to buy that service/product regardless of whether or not it was on CashCrate. One of the best ways to increase your earnings with rewards sites is through their paid referral programs. Cash Crate has a more than adequate referral scheme. Family members and friends who you successfully bring on board will add to your coffer, i.e. you will get a cut on their completed surveys. As an extra incentive, Cash Crate will also pay you $3 more whenever your affiliates complete enough surveys to warrant their first $10 payout. If you are active in the blogosphere, you can choose to write about Cash Crate site instead. You will use the link supplied by Cash Crate as your personal referral link. For example, I am writing this blog to introduce who Cash Crate is, and encourage people to become its members. If enough people are attracted to join Cash Crate after reading your posting, the payout worked out to you can be very decent! Frankly, as I switched my work from filling out surveys to blog posting, I have more than doubled my previous income that was due to surveys/forms filling. As of right now, CC has a minimum cash out amount of $20. Meaning, in order to get paid, you have to earn at least $20. Once you have hit that number, you can request a payout. Currently, the only form of payment is Check, which explains why they ask for your real address when you are first signing up for the site. Throughout the years, I learned a few things that have helped me make more money faster while ensuring I get credit for the offers I did. I hope these tips can help you too. It pays to have offers quickly filled out and my tool of choice is an autocomplete form filler. Many are available on the internet like Roboform. How it works is that it can automatically and quickly fill out forms so that saves you precious time to manually key info into every field of the form. I find such tools to be quite dependable, but also make sure the right information is entered at the correct field. Sometimes such tools can make the wrong assumption and bad info is entered inappropriately at places they are not supposed to be, so pay attention after the form is duly filled out. Upon completion of the survey or offer, hit the “submit” button in the Cash Crate window next to the said survey or offer. Your due reward will be added to “pending” payouts, subject to verification. Take note that the system will reject if the form filling is less than complete; so always make sure that all forms are filled out comprehensively. Is CashCrate Legit & Safe? Yes, it 100% is a legitimate rewards and survey site. That said, I’d just like to reinforce the idea that Cash Crate is no get-rich-quick scheme, so patience and endurance are two key elements in your work. I have explained the basic concepts behind the company and what its business model is, so you just have to dig in to realize your earning target. But I dare to say that with its (compared to other similar programs) generous payout and innovative ideas, you can hit this target easier than most other money-making options on the Internet. Do remember to have a varied game plan. Always combine taking surveys and referral program in a way that best utilize your time and guarantee optimal payment. And remember, this is no way to get rich or make to enough to live on, despite what you may have read on the Internet. 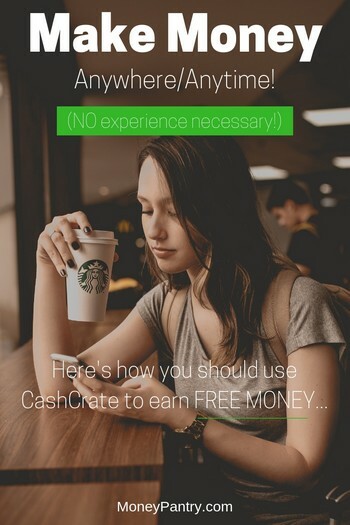 To end this review of CashCrate review, i’d say use CC as another extra income stream to help you make more money in conjunction with other methods. I have been wanting to make extra money and receive free stuff ever since I became disabled 3 years ago, and have consistently ended up in scam town USA! A couple of them ended up costing me a lot of money because I was new to the whole thing and failed to read the very fine print. One time the fine print was a teensy littlest check box one page 3 that if not unchecked costs $39 per month. Once realized, it took changing Debt cards to stop it. Anyway, I’m just thrilled and grateful for the wealth of information that you have compiled! Thank you and I’ll stop back with success stories. I am sorry about your disability. But I am glad MoneyPantry has been helpful to you. I wish you the best, Bobbi. Let me know how you get on. AppBounty Review: A Legit Way to Get Free Gift Cards or a Scam? 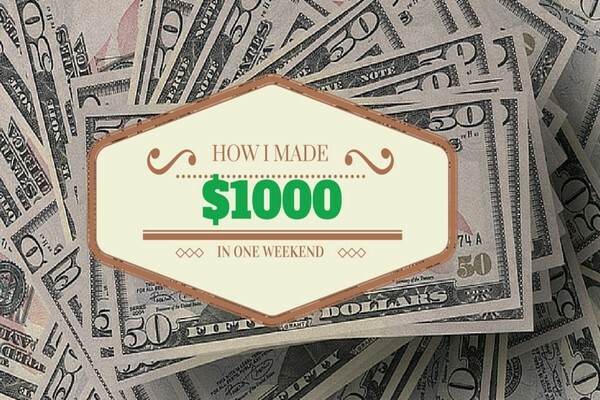 Making Money Fast: How I Made $1000 in a Weekend!